This Yorkville pressure-Assisted 1.6 gpf/6.0 Lpf Toilet Tank really is the clear choice when shopping for a powerful and quiet pressure-assisted toilet tank. This tank must be installed on a separately purchased, Yorkvillepressure-assisted bowl. Available in a comfortable elongated bowl configuration, this toilet is a great addition to your residential or commercial bathroom. For use with Yorkville (3703001.020) elongated Right Height bowl. Purchased separately. The Archer(TM) Comfort Height Toilet combines exceptional performance and the enduring transitional style of the Archer Suite. Blending subtle design elements found in Craftsman furniture and the intricate facets of fine jewellery, this combination of beveled edges and curved bases creates a timeless look that complements a wide range of styles. Yorkville Pressure-Assisted 1.6 gpf/6.0 Lpf Single Flush Toilet Tank Only in White This Yorkville pressure-Assisted 1.6 gpf/6.0 Lpf Toilet Tank really is the clear choice when shopping for a powerful and quiet pressure-assisted toilet tank. This tank must be installed on a separately purchased, Yorkvillepressure-assisted bowl. 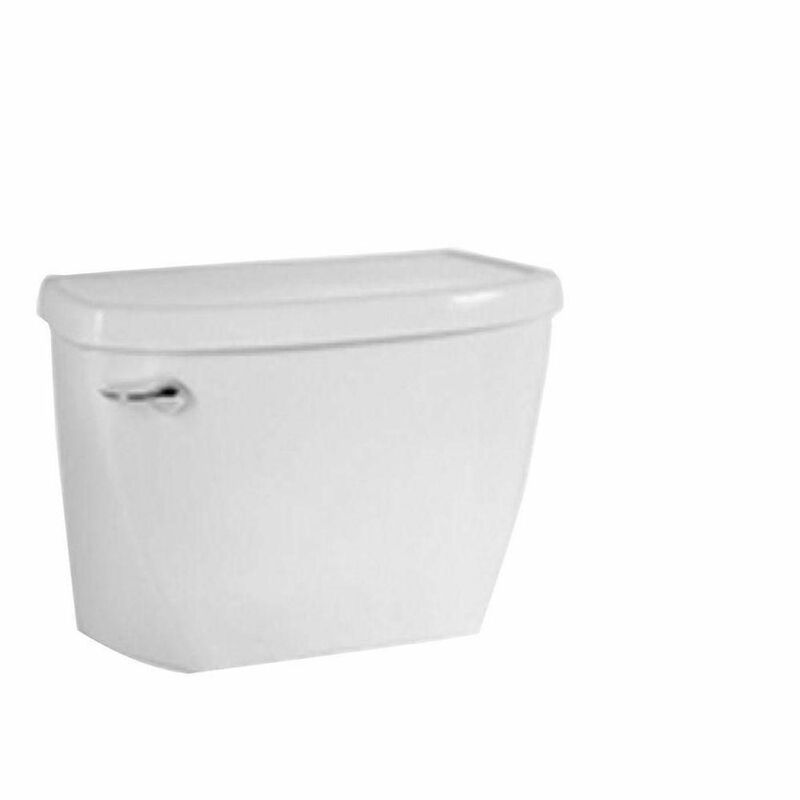 Available in a comfortable elongated bowl configuration, this toilet is a great addition to your residential or commercial bathroom. Yorkville Pressure-Assisted 1.6 gpf/6.0 Lpf Single Flush Toilet Tank Only in White is rated 3.8 out of 5 by 22. Rated 4 out of 5 by Michael from Not easy to find a fourteen inch tall elongated toilet... Not easy to find a fourteen inch tall elongated toilet bowl. This unit has a nice flush. Rated 5 out of 5 by HomeDepotCustomer from Great Toilet!... Great Toilet! Rated 1 out of 5 by Robert from Did'nt work. And you know why ? You NEVER put... Did'nt work. And you know why ? You NEVER put the measurements of the coupling bolts or the size if the water trap in the description.Yes, we all know it holds water,we know the physical dimensions(most times)of the tank.Now you need to always show a picture of the bottom of the tank and the dimensions of everything there.So people like me can make an informed decision instead of wasting our time guessing.Thanx for nothing. what toilet bowl will fit on this model? and also elongated. Thanks.